For the first time since September 27, 2013, Texas Rangers infielder Jurickson Profar suited up for a regular-season game Thursday night when he served as the designated hitter for the Hickory Crawdads during an injury rehab assignment. Noticeably more filled out and chiseled than he was as the Crawdads shortstop in 2011, the now 22-year-old Profar missed the past two seasons with a torn shoulder muscle that he suffered in a weightlifting session during spring training, according to the Rangers media guide. After unsuccessfully trying to resume baseball activities several times last year, Profar finally underwent shoulder surgery in February 2015. Profar has been in Hickory since Tuesday and finally hit the field Thursday night against Charlestown (S.C.) as the designated hitter. He is expected to DH again on Friday before the Crawdads hit the road for Delmarva (Md.) for a five-game series with the Shorebirds. 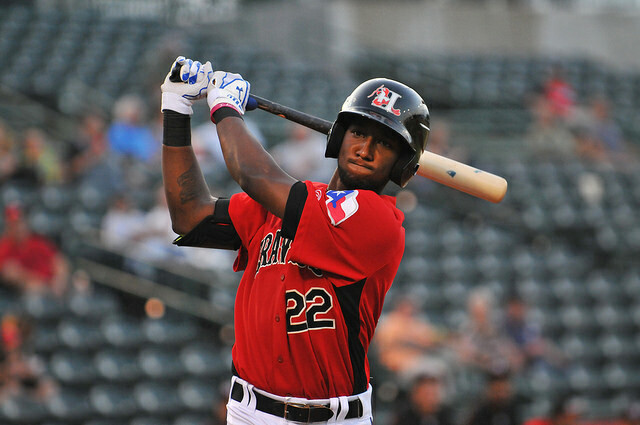 It is not yet been determined how long Profar will be with the Crawdads. In front of several of the Rangers front office brass – which included senior director of player development Mike Daly and senior director of amateur scouting Kip Fagg – Profar went 1-for-4 with a sharply-lined single to right in his final at bat of the game in the seventh prior to his removal for a pinch-runner. Batting left handed in all four plate appearances, Profar was jammed by a fastball for a 4-3 grounder in the first. He then popped up a fastball to second in the third before topping a curve ball in the fourth for a weak 1-3 comebacker. As far as the shoulder goes, Profar said that it felt good and the prescribed throwing program is coming along well. Profar is not expected to do any throwing in games until this fall. While Profar missed playing the game over the past two seasons, he doesn’t envision a major setback of what was once a fast-track journey to the majors once he resumes playing on a regular basis. Profar understands the full recovery of his shoulder is a long process and that it will take time. Rather than being in an anxious rush back to get back to Arlington, he is content to let the process play out as he gets back onto the field. 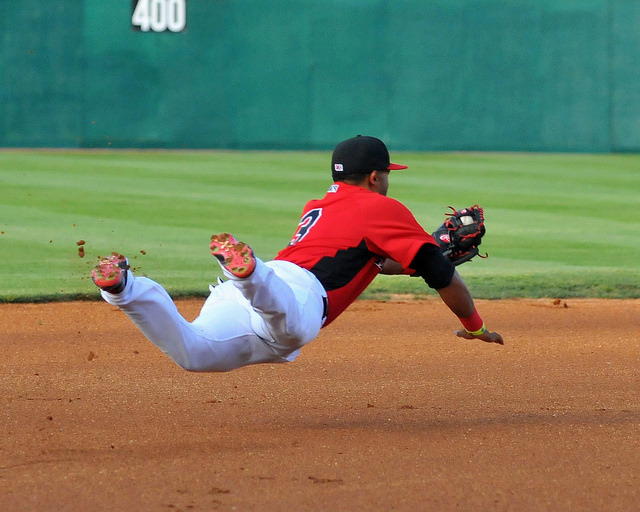 One perk of Profar’s time in Hickory is the opportunity to play with his younger brother Juremi, an infielder with the Crawdads. NOTES: Profar is the sixth major-leaguer to rehab in Hickory. Others included Jason Bere (’96-’97), Jim Abbott (’98), Josias Manzanillo (’02), Adam LaRoche (’08), and Daniel Bard (’14). Profar is the first former player to return to Hickory in a major league assignment… Profar is the 51st player to play for Hickory in 2015. 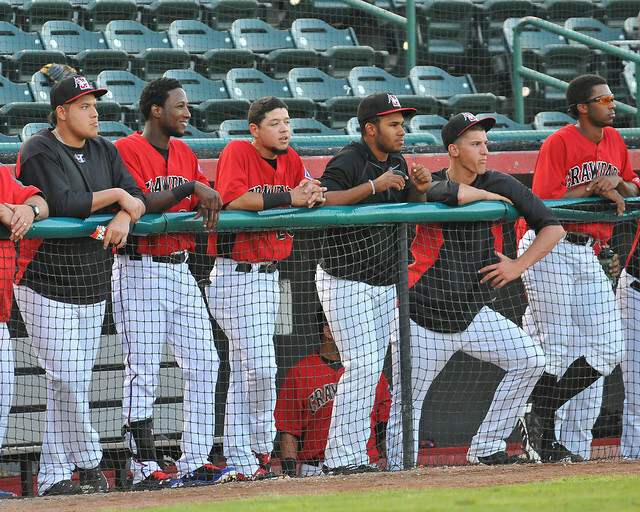 That ties the club record for the most players on a Crawdads roster for a season. The 2008 team also had 51 players… The Profar brothers are the second set of brothers to play for the team at the same time. 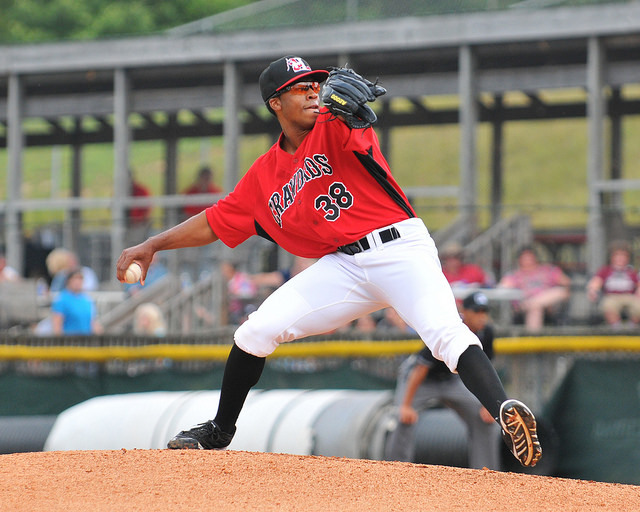 In 2014, pitchers David and Ryan Ledbetter were on the roster together for the first month of the season. 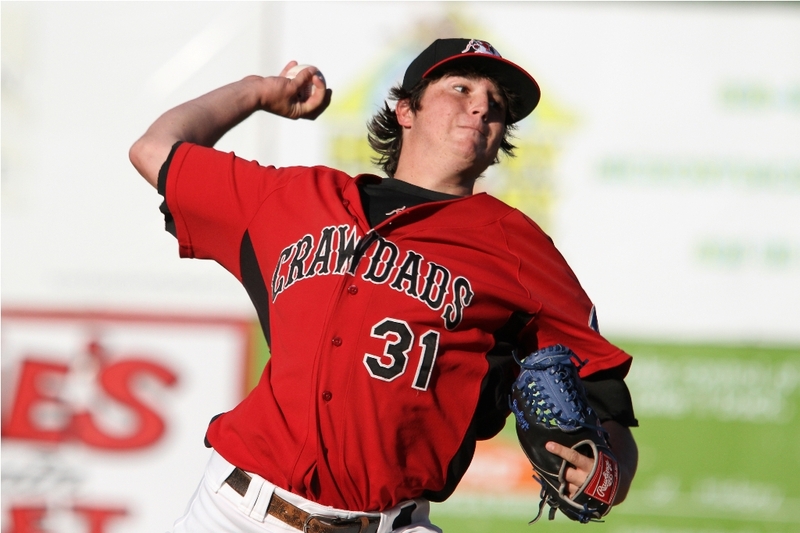 Pitchers Jose and Anyelo Leclerc wore a Crawdads uniform a year apart. 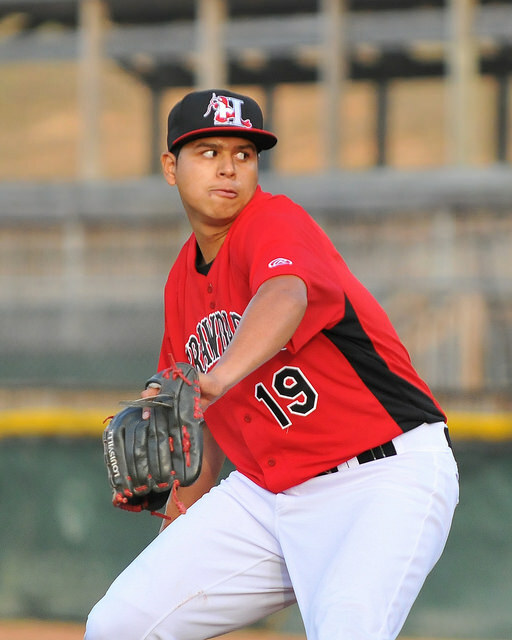 Jose pitched for Hickory in 2013 with Anyelo coming a year later…. Profar comes to Hickory at the age of 22-years, five-months. According to Baseball Reference.com, the average age of South Atlantic League hitters is 21.5-years-old, while the average pitcher is 22.0. In the space of three seasons, Jerad Eickhoff has gone from low-A starter to a highly-sought trade piece that brought then- Philadelphia Phillies pitcher Cole Hamels to the Texas Rangers. In many ways, the ascension of Eickhoff to major league pitcher is a continuation of a series of events that started at Mater Dei High School in Evansville, Ind. In many ways, Eickhoff was the normal midwestern kid who played whatever sport was in season at the time, but it was in baseball that he excelled. A third baseman mostly in high school, Eickhoff said he threw only about six innings in junior season before his coaches convinced him to give pitching a longer look. He increased his work load to 45 innings in his senior season before heading off to the junior-college ranks. After his freshman season at Olney (Ill.) Community College, Eickhoff was the 46th round pick of the Chicago Cubs. However, he chose to return to Olney CC for his sophomore season, during which he struck out 116 in 88.1 innings and earned NJCAA All-American honors. 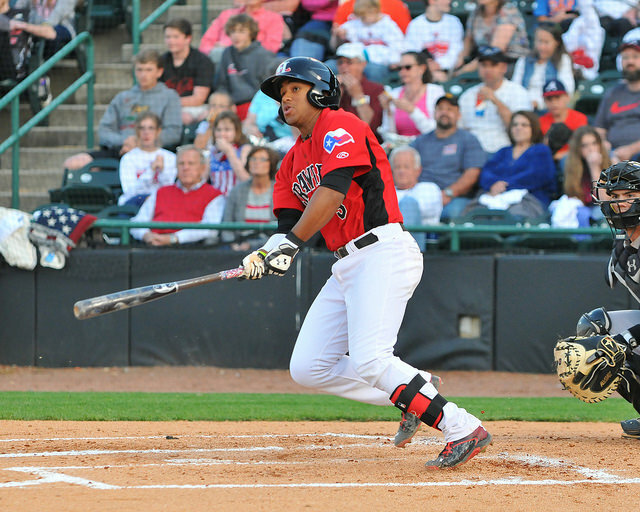 The Rangers picked him up in the 15th round pick in 2011 and signed him away from a commitment to Western Kentucky. Eickhoff spent his first pro season in the bullpen, splitting time between the Arizona Summer League Rangers and Spokane. 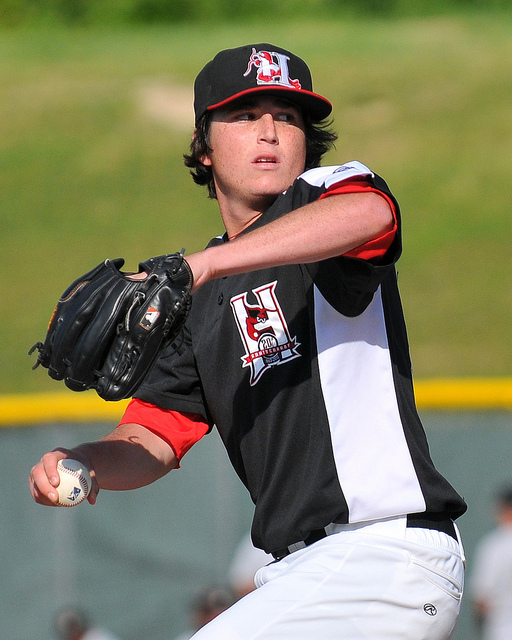 He went on to make 25 starts for Hickory in 2012, when he posted a 13-7 mark and a 4.69 ERA in 126.2 innings. His repertoire with Hickory was a fastball that sat in the 90-94 mph range with an occasional cutter to go with a changeup and curve. As his pitching career rocketed from a high school junior third baseman to a spot as a major league starting pitcher, Eickhoff’s stop in Hickory was about learning how to understand what he could and could not control. The start I remember most from Eickhoff’s 2012 season came during a game on July 3rd at Greensboro. Much of the early-inning events worked against Eickhoff.. A misplayed, inning-ending grounder turned into a two-run homer in the first. Two more errors, a passed ball and a disagreement with the umpire’s strike zone led to three more runs in the second. 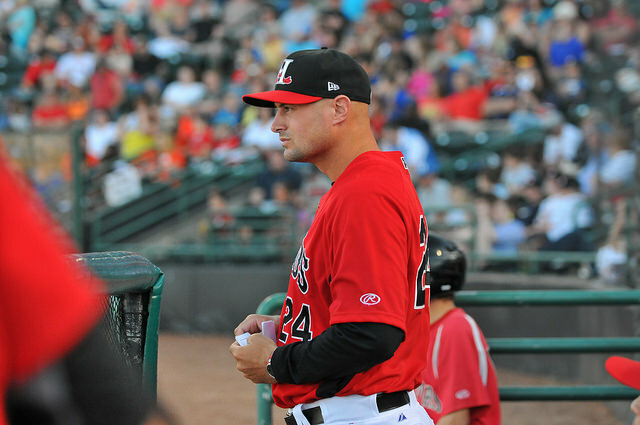 At that point, Hickory Crawdads pitching coach Storm Davis made a mound visit. 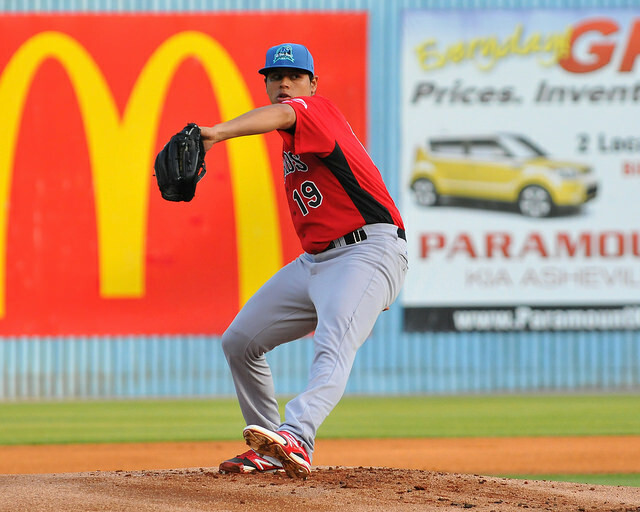 Eickhoff eventually battled through five innings and the Crawdads rallied back for a 7-6 win – a victory that manager Bill Richardson said was to that point the highlight game of the season. 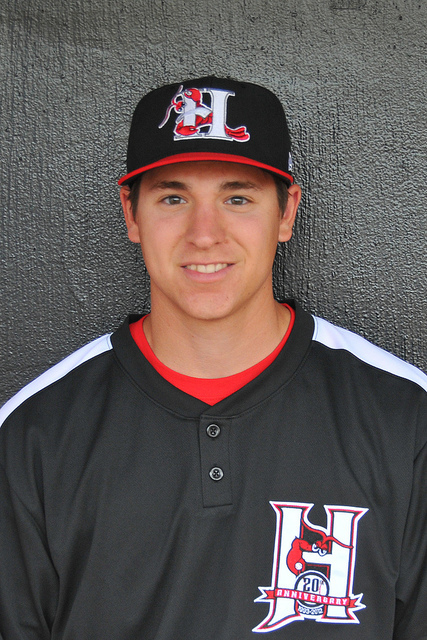 Eickhoff went on split the 2013 season at high-A Myrtle Beach and AA Frisco and then returned to the RoughRiders in 2014. He was added to the Rangers 40-man roster last winter and spent this season at AAA Round Rock before going to the Phillies chain, with whom he pitched at AAA Lehigh Valley. Below is an interview I did with Eickhoff, during which he talked about learning to come to terms with what he could and could not control, as well as how he got into pitching. Eickhoff: My dad (Ron) got me swinging a plastic bat at a whiffle ball when I could first walk. He kind of got it kick started. I enjoyed being in sports. Did all of you play sports? Eickhoff: Yeah, we did. We had a pretty athletic family…I played football from 5th grade until my freshman year. I put that aside. I didn’t want to get hurt as baseball was my priority. I played baseball and basketball all four years. What did you play in basketball? Eickhoff: Shooting guard. I just kind of got some mismatches because I was a taller guy for that position. How did baseball become a priority for you? Eickhoff: I guess for me, I just enjoyed me and my dad and my brothers would go out on a Sunday. My grade school had a baseball field there. 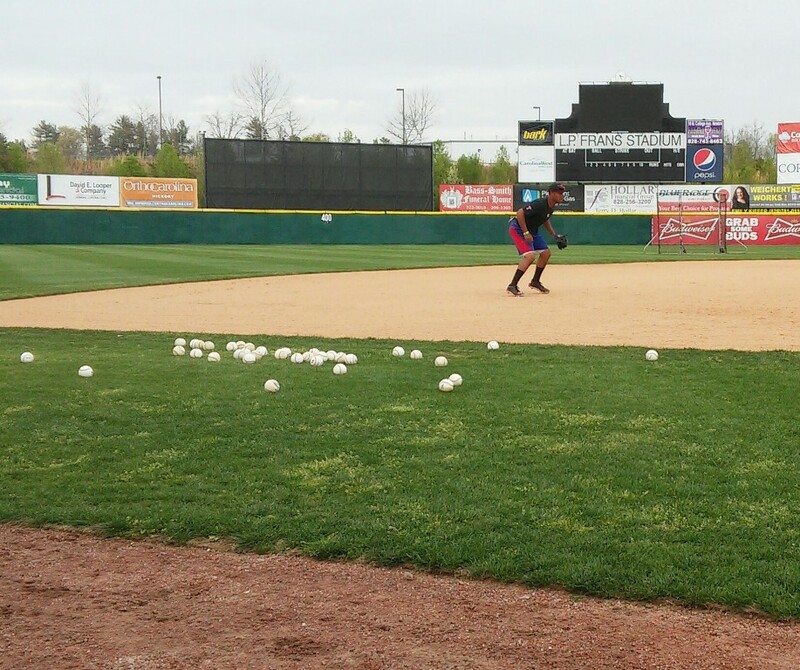 I just enjoyed taking ground balls and taking fly balls. When you are younger you enjoy, “Dad, see how high you can hit it up; see how high you can hit it and I’ll see if I can catch it,” and stuff like that. I just enjoyed being on the field and enjoyed getting better at it. It helps that I could hold my ground. I could compete and I just liked having fun. Did you play other positions in high school? Eickhoff: I actually didn’t pitch. I only pitched six innings my junior year. I pitched like 45 (innings) my senior year. I played more third base. How did the transformation to the mound get started and what was it like for you? You kind of accept that; you don’t think about it then. As the years kind of took place and I didn’t know college was going to be coming about. Some junior colleges started calling and wanted me to pitch and liked me on the mound. That kind of kick started it and I saw my future started opening up. Maybe I could do this in college and see where it takes me. I just needed to get bigger and get more apt to pitching. What did people see in you and maybe who was the first person to get you started in that direction? Eickhoff: I think the biggest thing, first of all, was my body type. I was 6-3 at the time, 175 (pounds) and skinny. I had a decent arm. I could get it across the infield from third base. I guess coaches noticed that that I had played with. I had a good motion; (the ball) looked good coming out of the hand. I think that was the starting point for it. Baseball is such a mental game and mentally I was able to do that sort of thing. Is there somebody that kickstarted you into that direction, or did it evolve? Eickhoff: I think it just sort of evolved. My high school coaches, Jeff Schulz, and my pitching coach at the time, as well as Buddy Swift. He was my summer coach. They were all three together in the idea that my feature was in pitching. Did you have the opportunity to go to a four-year school? Eickhoff: I did have some opportunities to maybe walk-on and get a smaller scholarship. But the way it was panning out was that I’d fight for a spot. It might take two or three years to see some actual playing time. For me, it was important to get playing right away. If I’m playing, I’m getting better. That’s what my coaches always preached from day one, my dad as well. I think that was the biggest thing, just getting to play every day and being a key factor on the team and really contributing. What were some highlights for you in high school? Eickhoff: When I was a sophomore (2007), we went to the state finals (against Norwell High). I wasn’t on the varsity team. I was on the reserve and I got moved up. Although I wasn’t on the field, I got to be with the atmosphere of the state finals. 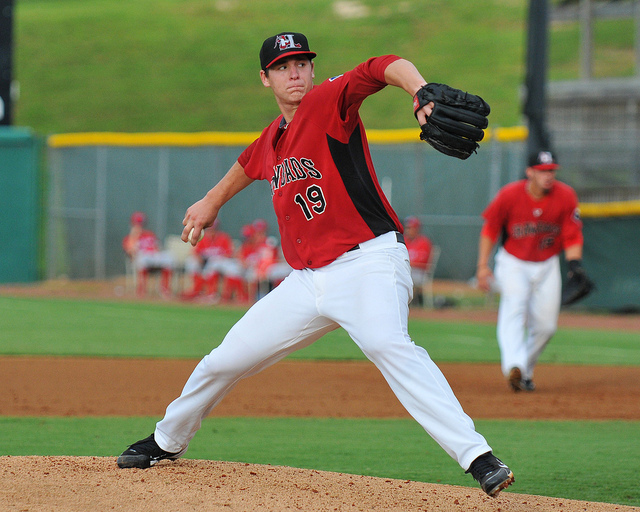 We faced the number 9th overall pick that year, Jarrod Parker, who’s now pitching for the Oakland Athletics. That, for me, was a thing I wanted to experience again when I was on varsity the next two years and try to get to things like that. That was a great experience for me. When you were drafted by the Rangers, was there a thought of waiting a year to see if you could bump up, or the opportunity was there and you took it? Eickhoff: It was pretty tough for me and my family. I’ve always been a school guy. I’m pretty apt on the academic side. It was tough to weigh the options. People were saying, “Yeah, there might be more down the road, but you have this chance you have to take right now.” It’s hard to weigh that. The college is upping their scholarship and Texas is calling and wanting you bad. I think I’d been wanting it for so long to play professional baseball and that opportunity was there, I just felt the opportunity was right and I made the decision. How did the adjustment to pro ball go for you? What were some things that you had to learn pretty quick? Eickhoff: I think the biggest thing, which I kind of learned of myself, and my junior college coach (Dennis Conley) instilled in me, it’s about yourself and what you can do for yourself as an individual. It’s about a team, but what do you do off the field to get yourself ready for that. That’s what being a profession is all about is taking care of your business. Your individual goals will come together in a team goal. That’s the biggest thing is taking care of yourself. Keeping your body in check and maintaining your arm care and the conditioning. Take everything upon yourself. You’ve gotten off to a 10-4 start (at the time of the interview in early July 2012). I know some of that has been run support, but what’s been the key to your success so far? Eickhoff: I can’t complain about the run support. The defense and offense has been really great for me. I tip my hat to those guys and what they’ve done. I’m just trying to stay consistent and do my best for them as well and get outs and help my team win. Being a 15th round choice, do you feel like you have to work extra hard because of the draft selection and the coming from a not well-known baseball school? Eickhoff: Knowing me and my nature, I’ve always worked as hard as I can. If I was a first-round pick I’d work the same amount as I do now. That’s a big thing, to work hard from day one. That’s what my mom and my dad instilled in me. I just continue taking it day by day and keep working to see where things take me. One of the things Storm Davis said in talking about you is having you learn how to let things go that you can’t control. Has that been a part of the process of learning to be a pro, whereas before you could strike out a bunch of guys? Eickhoff: Absolutely. Me and Storm talk every day, and D.C. (Rangers minor league pitching coordinator Danny Clark) as well, about focusing on what you can control and that is when the ball leaves my hand. That’s the end of my control. That’s all I can do is do that. I can’t make the plays at shortstop; I can’t make the plays at second. So, what happens, happens. What I can do is make good pitches and hopefully get good results by ground balls and strikeouts. That’s the biggest thing, just letting things pass that I can’t control. Is that a continuation of learning about letting go of things you can’t control, like being a 15th-round pick? Eckhoff: Yeah, I wish I was a first-rounder, but that’s passed and what’s happened, happened. I just continue to work every day and do what I can. What I control is conditioning and the effort I put in and the throwing program and things like that and keeping my body in check. I’m a competitive guy and I’m going to do what I can to try to make it in this game. What’s the thing that you will need to work at most moving up the chain that you’ll have to work hardest at? Eickhoff: One of the biggest things is just letting things go. No matter how bad things may seem on the field, if I give up six runs or so, just reel it in and work on keeping those innings shorter and keeping those innings from exploding. Maybe keeping it at one or two runs instead of five runs. Just continue to pitch instead of walking out and letting negative things seeping in with doubts. Keeping and staying positive, as skip (Bill Richardons) says, “Stay the course” and continue with what I can do and what I can control and be myself as a pitcher. What do you think has been the biggest success of your season so far? Eickhoff: I think the success is, obviously, I’ve been very fortunate to stay healthy. I’m very fortunate for that. I know a lot of guys that have had injuries here and there. I continue to work on things with Storm and Danny Clark and translating that from the bullpen to the game mound when the hitter steps in. I think that’s the biggest thing that has helped me translate the success that I’ve had. The reports we are getting is that he’s a very durable guy. The biggest thing for Jerad is to be able to make adjustments during the game. I think that’s one of the positives he has at a young age. I think his work ethic comes into play during the competition. So, Jerad has got a really high up-ceiling, for him. We see a lot of good things that he’s doing. He’s starting to be able to command the baseball when he’s behind in the count. So, I think there’s a lot of combinations there that’s leading to that success that he has. With guys at this level, a lot of times quantity is not always quality. I think he separates himself with the quality of work that he puts in along with the quantity. I think that’s the way he looks at it and I think that’s what we see. So, he is separating himself. A lot of times with young pitchers they don’t know how to work. I think he will seek out that information and he’s put it into his play. What’s the biggest thing he’ll need to work on from here going up the chain? He’s no different than anybody. Obviously, being able to throw strikes behind in the count is one. Number two, just having overall better command. As you go higher, obviously mistakes are not as forgiving. I think he’ll adjust to that. I think he’s got the capability of adjusting to that and he’s got the aptitude to adjust to that. What are some things that have set him apart in his first full season? Jared is a really hard worker, so he’s physically up to the challenge, not that the other guys aren’t. I’d think he’d be the first to tell you that he’s not blessed with a lot gifts that some are blessed with. He’s got a good arm. He’s retaining better. He’s not fighting himself as much out there. He’s very perfectionist oriented. When things aren’t going perfect, it’s a bit hard for him to slow pitch-to-pitch. He’s getting better at it. What is the thing he’ll need to work on moving up? I think physically, he’s going to have to get bigger. I think he’s going to need to put on some weight. He was weighs about mid 220s. He’s going to have to get into the mid 230s, maybe 240 before it’s over with. I think his stuff, like I tell these guys, mostly their stuff and delivery is going to look the same now as it will five years from now. There’ll be tweaks here and there. I think he needs to keep commanding the fastball which sets up his cutter and curve ball. When he’s doing that, he’s going to be successful. 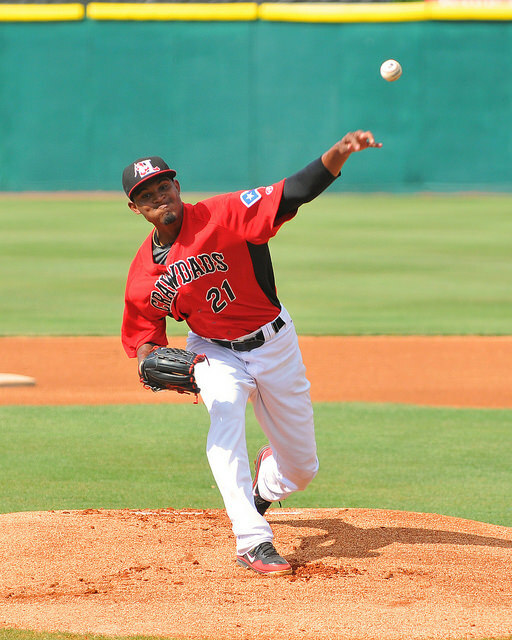 At 6:01 EDT on Saturday, August 15, 2015 at L.P. Frans Stadium, pitcher Dillon Tate threw his first pitch as a member of the Hickory Crawdads – a 98 mph heater low and away to fellow first-rounder Kevin Newman of West Virginia. 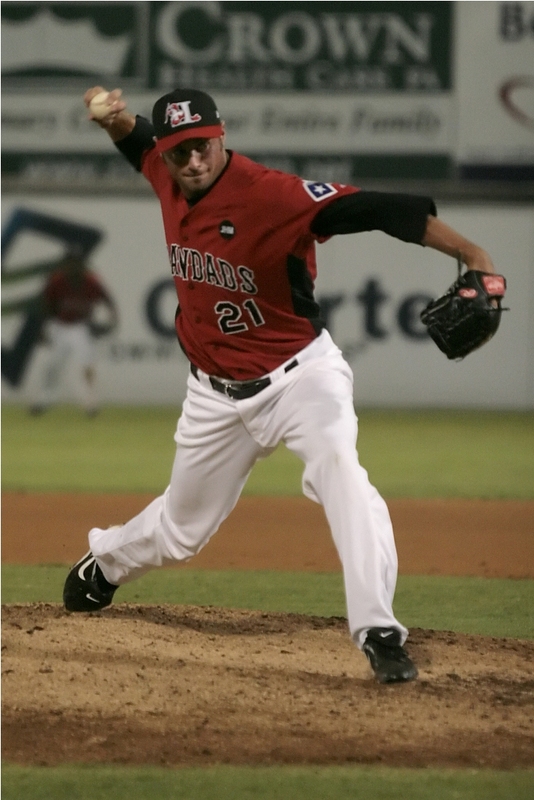 The bespectacled, right-hander went on to throw 15 pitches in his maiden outing as a Crawdad before turning the game over to teammate Brett Martin. Thirteen of the 15 pitches Tate threw were fastballs, all reading between 97-99 mph on the stadium radar gun (which is currently a tick or two fast). Seven went for strikes and two of those missed bats – both by Jordan Luplow on the only strikeout. The fourth-overall selection by the Texas Rangers in June 2012, also threw two sliders: one taken for a strike at 90; the other at 92 was swung through. For his part, Tate was pleased with how the short stint played out. After signing with the Rangers, Tate pitched just two one-inning stints with short-season Spokane, sitting out for six weeks in between the two after resting a tired arm. The product of UC Santa Barbara threw 103.1 innings during his junior season with the Gauchos. With the amount of work during the college season, the plan for the remainder of the season is to limit the young hurler to one and two-inning stints. Ragsdale said that the abbreviated starts will enable Tate to adjust to life as a pro. 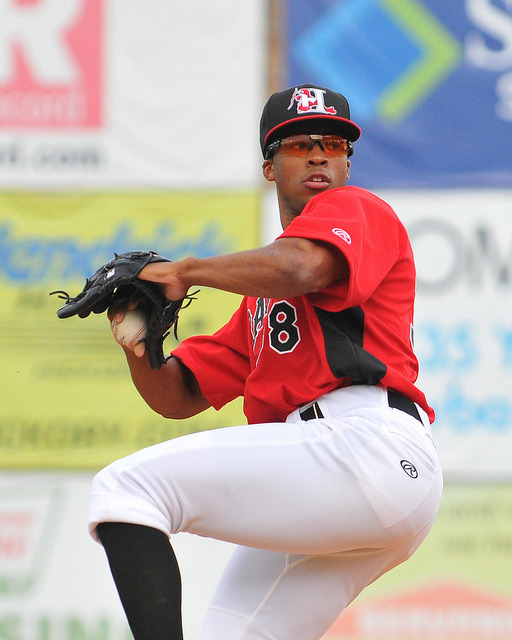 Dillon Tate pitched one perfect inning with one strikeout in his debut.